WWE just made several big announcements for next week’s episode of Monday Night RAW. 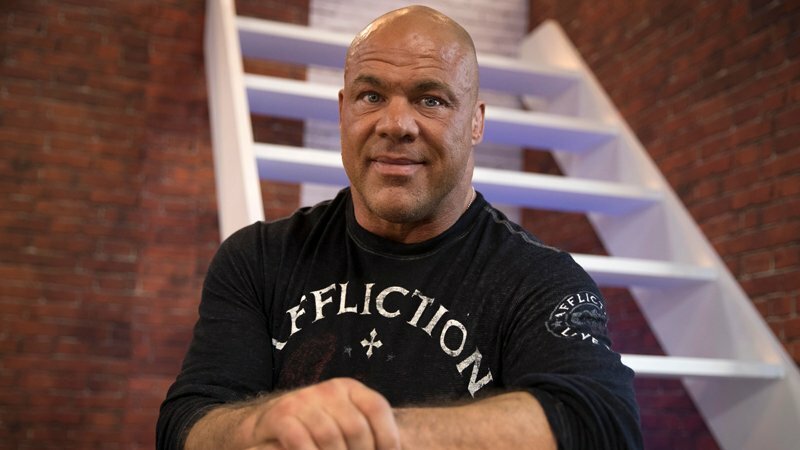 First, WWE Hall Of Famer Kurt Angle will announce his WrestleMania 35 opponent. Angle is ready to hang up his professional wrestling boots for good. He intends for his match in New Jersey on April 7 to be the last of his career. Also, Finn Balor will have to choose a partner to face Intercontinental Champion Bobby Lashley and Lio Rush in a Tag Team match. Lashley defeated Balor for the title on Monday’s RAW. Following their confrontation with one another on last week’s episode, RAW Women’s Champion Ronda Rousey will be facing off against Dana Brooke. And finally, 2019 Men’s Royal Rumble winner Seth Rollins will take on Drew McIntyre. “The Scottish Psychopath” attacked Roman Reigns on this week’s RAW before their scheduled match. McIntyre then defeated Dean Ambrose in a Falls Count Anywhere match after “The Lunatic Fringe” sought out revenge for his Shield brethren. Perhaps “The Architect” will have better luck next week.